When I was in college, I was told by a Chemistry professor that you were a success by the sheer nature of being in his class………I still remember that quote from that professor after 25 years. In a lot of ways, defining success depends on your starting point……for the people that might have been the first in their family to attend college, success can be defined as just being in college….in a chemistry class. But for the people, like myself, whose father was an engineer, success was defined by not attending a class, not even graduating from engineering school. The other part, of the professor’s statement, was do you want to be great!……This statement stuck with me thru the years and helped guide me. But growing and running a successful government contracting and engineering consulting firm for nearly 25 years, I was often asked, how would you simply define your business success……….in Charles Handy’s Book, The Age of Paradox, he states that “The paradox of success occurs because when we recognize the need to change before we have to change.”……….I add this quote on my BRITIL homepage, because I believe that this quote is so true that in order to be successful, we have to recognize that need to change. Though this quote is a business coaching or executive coaching business concept, it still applies to the topic. 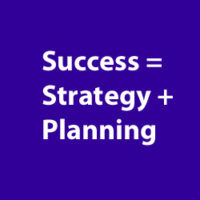 Though Business Success is more complex today, I came up with the simple formula that I believe defines it. iness ideas, new products or your current business can become a successful business. and competition that causes you to alter your strategy process. Business Success is something that can be taught and at BRITIL, I started this firm with the specific purpose to help both new businesses and existing businesses alike to become more successful. Our services and the package options were created to provide business coaching to companies in need of these business concepts ideas and the tools to help them get there. If you find this post useful or not, I welcome your feedback and post a reply. If you want to learn more information on a particular subject, please fill out a contact form.